Download as many Refer-A-Friend forms as you wish. Fill-in your information or, if your friends will fill-out the form, make sure they have your information that’s needed. Your friends call 877-681-1298 and visit directexede.com to learn about ViaSat Internet. 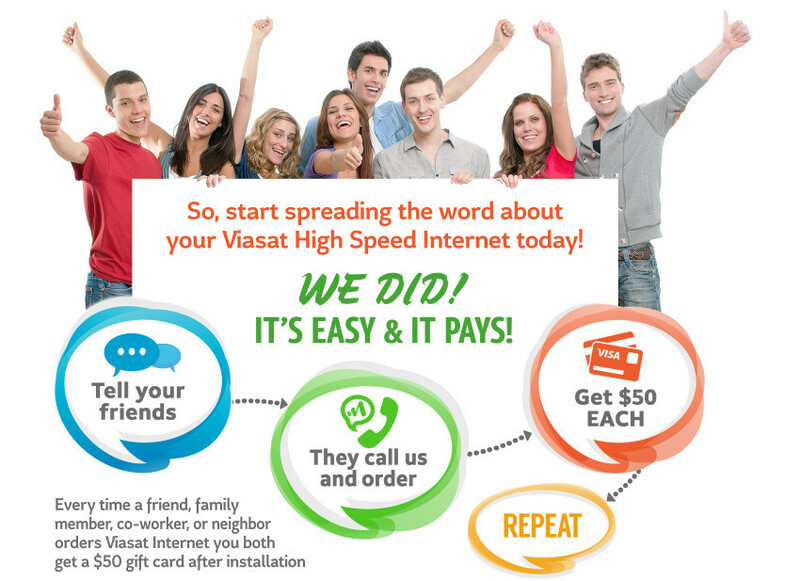 You can refer as many friends as you wish, and we’ll send you $50 for each that becomes a new ViaSat Internet subscriber with us.